I’m continuing to reflect on my practice this year. As you may recall from this post or this post, I chose a focus for each of my classes upon which to build more future-focused pedagogy. In Year 13, where I taught a very small class of students who had opted into tackling Level 3 and Scholarship English, I wanted to focus on the use of social media in order to promote the idea that learning is ubiquitous. 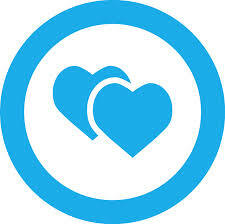 The social media tools I chose were Edmodo and Twitter. The latter was a complete flop. While I certainly learned how to set up a separate Twitter account for teaching purposes, and how to start a new Twitter hashtag (i.e. just start using one), with a small class, and an even smaller proportion using Twitter, there just wasn’t the critical mass required to be sustainable. I would definitely try this again though, because there is such a richness of material out there that would be of interest to students. I think I would explore other ways of making this material available to students – even if it’s just posting links to interesting readings on Edmodo. Edmodo was much more successful. When I surveyed the students, they naturally compared and contrasted it to our Learning Management System, and favourably. The students liked that they could post questions and articles themselves on the forum (although I acknowledge that this is also a feature of our LMS – the students don’t spontaneously do this). They liked receiving notifications from Edmodo via email when something new was posted. This prompt was viewed as handy. I take it as a sign of success that the students did not set up a separate Facebook page, which they usually do. To me, this meant Edmodo was fulfilling the need it should do. While not social media per se, in the survey one student also commented on the use of Google Docs, reporting that she enjoyed collaborating with the class in real time. This was my favourite comment from our end of year survey: “I think that the actual information we learnt and way of thinking we developed was improved by not being as credit focused and more education focused.” Yes! I’ll take that as a compliment! My overall reflection is that this was an enjoyable class to teach, primarily because of it being small, we could all sit together, and have a more informal, discussion-based learning environment. I think I would like to find ways to encourage more reflection on skills and content, ways to ‘check in’ with how students perceive they are progressing, in order to provide them with more targeted support. Because the class was small, I fell into the trap of assuming I was observing accurately how they were feeling. Mostly I was correct, but assumptions are not valid means of assessing situations! I like the way I really did re-jig the 2014 course based on the feedback from the 2013 students. I feel taking on board their advice was helpful, and did create a better, more cohesive year. Again, there would be further adjustments I would make to the programme, particularly in our focus on critical theory. And this year’s students wanted me to insist on more work being handwritten – note to self. 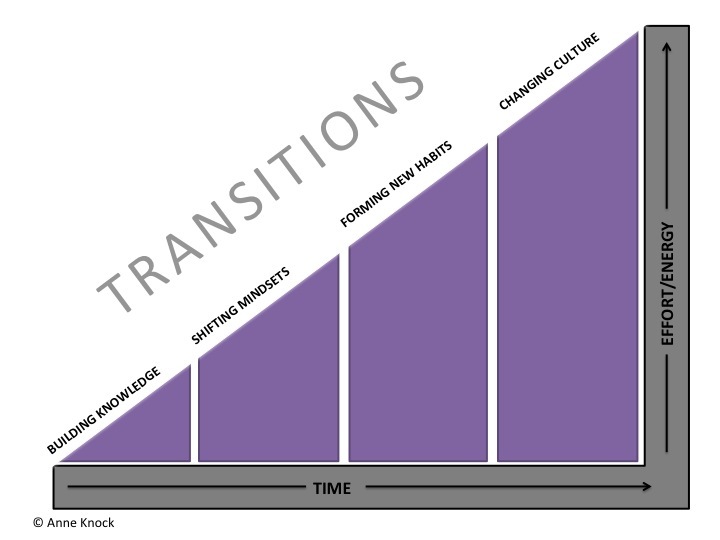 This is a short blog post I wrote for Tom Whitby, of #edchat fame, on the ‘aha’ moment of becoming a connected educator. It strikes me as utterly appropriate to reflect on my journey from an unconnected educator to a connected educator at this time, as it’s nearing a year since I had my ‘eureka’ moment. Last October, I attended ULearn, a massive (by New Zealand standards) conference, which draws together educators from all sectors to explore e-Learning trends and themes. I was so excited by what I learned there: it made such sense to me that we shouldn’t get hung up with the shiny tools of technology if pedagogy isn’t shifting to support a new, and more meaningful, way of teaching and learning. And I wanted to learn more. I had had a Twitter account, but started following the presenters I had heard at the conference. I decided to start a blog to help me record and process what I learned. I quickly realised that the way educators use Twitter, to connect and share, was extremely powerful. Through this I found blogs to follow, readings to explore, new ideas to wrestle with. I haven’t looked back. Not only has my classroom practice changed, but my whole view of my profession has changed. I am passionate about education in a way that I simply wasn’t before. Sure, I wanted to convey my love of literature and the power and beauty of language to students, but now I want learners to think and to be engaged. Now I facilitate professional learning into future-focused pedagogy in my school. Now I’m the secretary for #edchatNZ and I helped organise their first conference. Now I’m planning to run an edcamp in my city. Now I’m a connected educator. And I share this because I’m nothing special. Okay yes, I’m ultra-stoked and super-proud to have Rachel Bolstad of NZCER fame share my work (squee! ), but I’m just an ordinary teacher. I’m by no means the most innovative teacher there is – far from it. Despite the Twitter handle of @AKeenReader, I’m not the most well-read education researchy teacher there is – far from it. I think my blog is rambly and a bit unstructured at times, but I enjoy doing it. I like looking back at the learning I’ve experienced. I like having the odd (literally and figuratively) suggestion I can sometimes pass onto other teachers who ask a question or express an interest in something I’ve had a play with. It doesn’t strike me as terribly ‘brave’ to share my classroom practice or my iterative learning attempts. What the above tweets really mean to me is that if I can do it, as an ordinary teacher just trying to make her classroom match what I understand to be best practice, you can do it too. This post is my application for a 2015 CORE eFellowship. My application presentation can be found here. I invited the two staff members from my school who attended #edchatNZ to contribute their reflections on the conference to my blog. Here are one of those teacher’s thoughts. I have dabbled in twitter (and Edchats) a wee bit – dropped into a few of the Thursday evening conversations about education and the recently formed English teacher’s edchat. Most of the time I’m a lurker on twitter. I appreciate that it works both ways, you need to share ideas as well as absorb them, but I’m still working on sharing the ideas I have and trying to be confident enough to let them go out to the world for anyone to see in a permanent marker. I like that twitter has links to all sorts of useful ideas for lessons and good quality thoughts on education, but sometimes it’s a little overwhelming sifting through the material; following links and having to read whole blogs in search of the gold that you are after. However, it is awesome when you do find something you can implement in class. It was hunting in twitterland that got me reading articles and finding out what Project Based Learning was, which gave me the inspiration to try something different with my Y10 class when they were studying a film last term. I’ve only tweeted a few times, I still feel rather new to it all, but the great ideas coming through on the #edchatnz ‘stream’ (is that the right word? ), and Philippa’s enthusiasm, got me excited about the conference. It certainly did meet my expectations – the buzz that exudes from online chats was there; there was tangible excitement and an energy amongst the attendees. It was great to be in an environment where people were all speaking the same language, asking questions about learning and weren’t doing it because they were supposed to, rather because they wanted to be there. The conference was also like a twitter ‘feed’ in that it was stacked full of useful ideas and thoughts and suggestions for teaching and learning, but instead of scrolling down or searching for something using a hashtag, you looked at the program on the wall which told you where the next interesting session would be, or you talked to someone after or during their session. You also immediately had in-depth conversations about education in general, or the future of education with other teachers. There was very little small talk. In the car ride to conference each day, my friend and I, quite naturally, found ourselves discussing our positions on this idea of change in education and considering our views on what a teacher’s role is, in quite philosophical ways. For me, this doesn’t often happen in staffroom conversations or with other teaching friends. Because the content of the conference was stimulating, it prompted big picture discussions and got me thinking again about my own beliefs when it comes to the purpose of education. I came away inspired. This was by a number of things; by the style and layout of Hobsonville Point School, by ideas that make lessons appealing and relevant for students, by the responsibility we have to teach students the skills that will best equip them for their jobs and adult life – I’m sure they will be working with stuff that I can’t imagine (even when I’m trying to be super random). When I turned up on Friday, I was unsure about whether we needed to change in our thinking about how we approach education, but after seeing a 3D printer in action (it was creating a chocolate treat) and being gob-smacked about how it seems like only a few years ago they were something that only scientists had access to, it reinforced my idea that the time ahead of us is going to continue to be mind-blowing and weird, when it comes to the impact technology will have on our lives. Our students are going to be the ones who know how to go, “Okay, cool, we can try and figure this out and make it work.” Rather than, “What? Really? That’s epic! What will they think of next?” (My default phrase). I even found myself questioning the role of exams. I love exams. But I also understand that a lot of knowledge is available online (and many other places) and that if you are learning about something that you are passionate about, can see the relevance in, and personally invested in, you probably don’t need an exam to force you to learn about it or remember it (yes, I know,…in theory). It’s cool that we get to decide how this education thing will roll out for us. I’m taking teensy baby steps, but they are getting more bouncy thanks to edchatNZ’s inaugural (used deliberately here) conference. This is more of the overview of my experience of the first #edchatNZ conference, held at Hobsonville Point Secondary School 8-9th August, 2014. 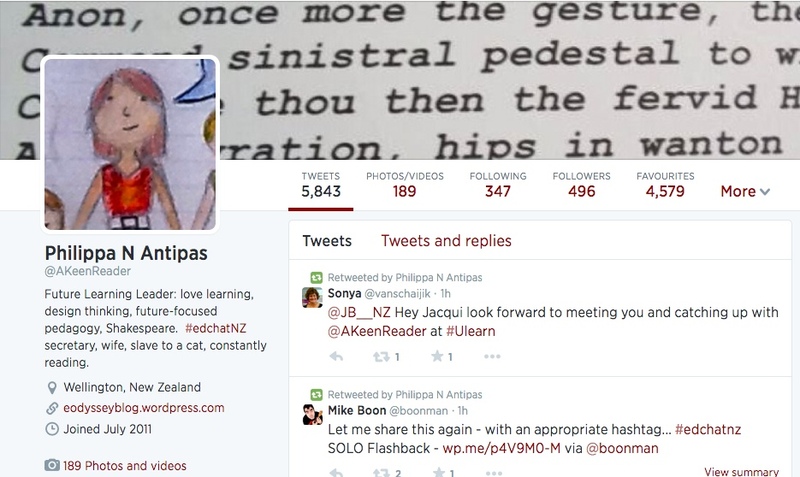 My other #edchatNZ blogposts can be read here and here. I want to learn more about design thinking and to feed that obsession. I want to learn more about breaking down silos and encouraging traditional schools to shift. I want to learn more about how to be an effective agent of change. I want to learn more about the modern learning environment of Hobsonville Point Schools. I want to learn more about being a future-focused educator. I guess it would be fair to begin by charting my progress towards these goals. I attended Diane Cavallo‘s Design Thinking workshop. It was great to actually experience design thinking firsthand after spending so much time reading and learning about it. I can certainly attest to the fact that it is a challenging process and gets the learning juices flowing. (It was also fun to play with playdough. Oh. I mean prototype.) Steve Mouldey‘s session on creative confidence was awesome for this too. Having to rapidly ideate was an interesting experience. And I just loved hearing his blogposts, which I have been devouring for some time, ‘live’. A real conference highlight for me. Mel Moore‘s workshop on breaking down silos was a total eye-opener, as I blogged about previously. It was really brought home to me how easy it is to create a truly cross-curricular course in a matter of mere moments. This ease of this suggests how rich the opportunities are to work like this, and also how closely this mimics real life, as opposed to our utterly artificial discrete subjects. I’m not so sure I learnt more about being an effective agent of change. Not because the opportunities weren’t there for me to do so, but that I wasn’t quite in the frame of mind to absorb this. I was, however, hugely supported, and I want to say more about this shortly. I was gutted to miss Maurie Abraham‘s guided tour of HPSS – my fault for working off a draft programme instead of the real one! However, I did get to experience a class in session, and having read so many blogposts about the school and having been following so many of the staff on Twitter, I did feel I had a pretty good understanding of the school. Naturally, the spaces are beautiful and flexible. I was struck by the school’s ability to feel huge and intimate at the same time. The carefully designed break out spaces work well here to do this, I think. It’s certainly not about the beanbags (although I made a point of sitting in one!) it’s about the kind of relationships and teaching and learning the spaces allow. I hope to be able to explore these ideas further. I think rather than learning more about being a future-focused educator, I learnt that I am one, and I feel affirmed in this from attending #edchatNZ. But what I think I really gained from #edchatNZ was the sense of comradeship. In her keynote, Danielle talked about being the ‘lone nut’ – a metaphor that has since gone viral in the #edchatNZ community! But I learned that while I may be a bit of a ‘lone nut’ at my school, thanks to #edchatNZ I am not a lonely nut. Everyone is fighting the good fight to encourage schools to shift their pedagogical practice. For me Maurie highlighted the importance of this message when he commented that we already have 21st Century learners. Now we need the 21st Century teachers to support their learning. I cannot really believe, looking back, what the #edchatNZ steering committee achieved – in four months, in fortnightly, half hour meetings, never having even met one another: a world-class conference. $20 a ticket. Over 300 delegates. I am so proud to have helped. I am so proud to have made a contribution to my profession. To not continue fighting the good fight would be to let these passionate educators down. It would be to do a grave disservice to the youth of New Zealand. 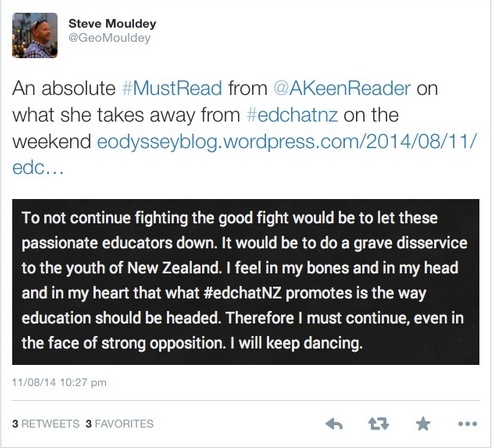 I feel in my bones and in my head and in my heart that what #edchatNZ promotes is the way education should be headed. Therefore I must continue, even in the face of strong opposition. I will keep dancing. Inspired by (or completely copying…) Matt Nicoll’s blogpost, I thought I’d still a few minutes to quickly jot down why I’m so excited by attending tomorrow’s #edchatNZ conference, and what I’m hoping to learn. I have never helped organise a conference before. 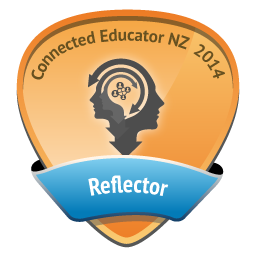 I can’t say I’ve contributed over much, but I’m so proud of being associated even loosely with #edchatNZ. I really hope to continue this post-conference. I would love to learn how to moderate a Twitter chat, and I’d love to be considered the ‘official’ #edchatNZ secretary. (Have the delegates enjoyed their emails – that’s mostly been me!) Also being involved in a small way with the organisation has helped me appreciate the boundless energy Danielle Myburgh, #edchatNZ founder, has. She is utterly amazing. Her commitment to her profession is awe-inspiring. I’ll say it now, and I’ll say it again in person: thank you, thank you, thank you. I’ve also never gone to a conference knowing but not knowing so many people. I think I’m a little worried of looking like I have some dodgy fixation as I scan lanyards at sternum height and exclaim, ‘Oh, you’re [insert Twitter handle here]! 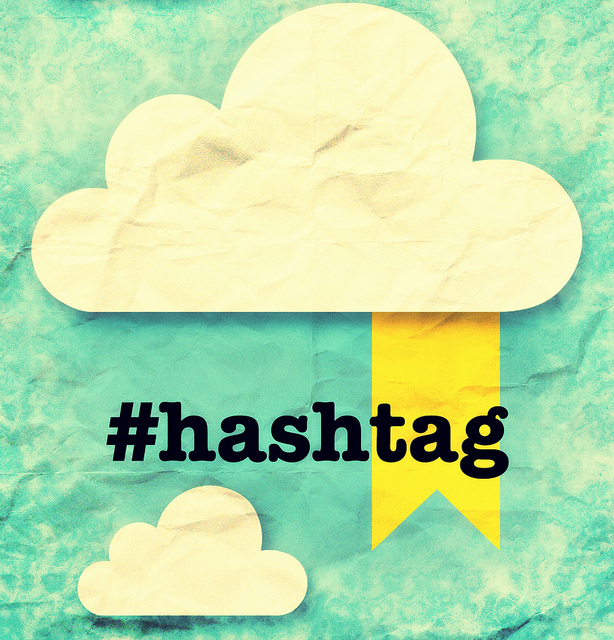 So great to meet you!” I can’t wait to put faces to names – especially of the #edchatNZ steering committee. How strange to be working quite intensely with a group of people you’ve never met. But it the power of these connections that I’m so uber-excited to build upon at #edchatNZ. I mean zero disrespect to the amazing line up of speakers when I say: I really just want to sit around and learn from my PLN. And what is it that I’m hoping to learn? I look forward to reporting back post-conference! At the start of Term 2, Matt Nicoll, from St Andrew’s College in Christchurch, and I, dreamed up a brilliant plan to be an ‘agent of change’ in our respective schools. To encourage staff to shift their pedagogy and to see what’s happening out there in the world of education, we invented #edSMAC, a Twitter hashtag to help us to connect and collaborate. I want to begin with an overview of the #edSMAC term. I first put the call out to interested staff during a staff professional learning session I ran which looked at Professional Learning Networks and being a connected educator. I followed up the verbal invite with an email, and was pleasantly surprised to receive responses from six staff. I love that these staff volunteered their time, were willing participants, and were from across the full range of learning areas. 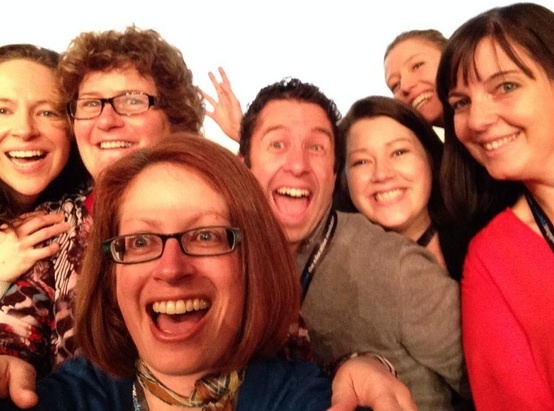 Once the PLN/#edSMAC Marsden group was formed, the first job was to get them all signed up on Twitter. This was relatively straight forward, once I ran a lunch time help session, and everyone had a go at introducing themselves to the national #edSMAC group. I also asked staff to indicate to me what their goals or aspirations were for being part of this group. Some wanted to learn more about Twitter specifically, others wanted to connect with more educators, others just wanted to develop their skills with technology and future learning more generally. The next week, I set the challenge of exploring some blogs. 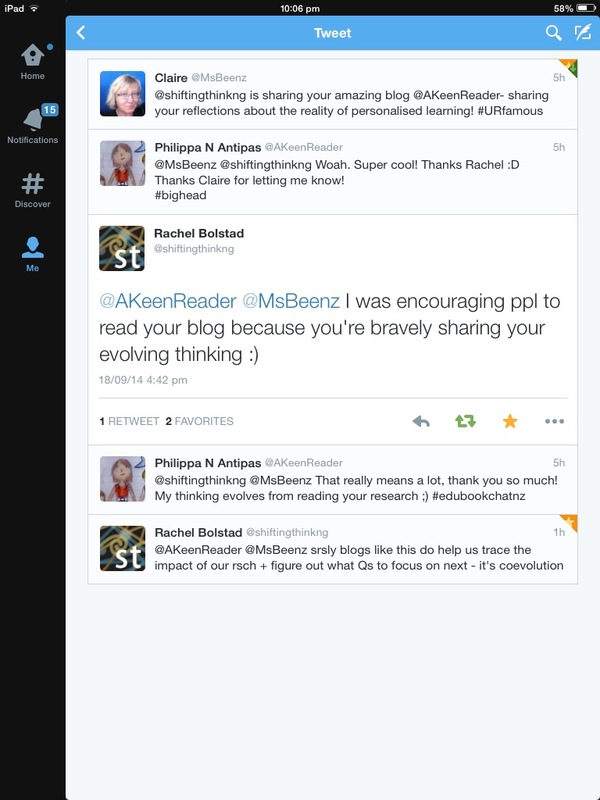 I wanted to ensure that I provided other pathways into developing a PLN besides Twitter – my personal bias. I suggested several Kiwi and international blogs, and provided information about curation in case people started to feel overwhelmed with information. We came back to Twitter after this, and Matt and I ran our own mini Twitter chat between Marsden and St Andrews using #edSMAC. We were hoping to help people to transition into #edchatNZ. This remains a work in progress, although I know one or two of the Marsden staff have lurked on occasion. A fortnight later I invited the Marsden PLN group to my house during #edchatNZ, but no one could make it as it was report writing season. Next term I hope to have wine and nibbles one Thursday evening in the staffroom to support this move further. One week I set a ‘give back’ challenge: to comment on a blogpost, or share links on Twitter using a hashtag for an even wider audience, or start a blog! I wanted to encourage staff to move from consumer to sharer or creator. Again, this remains an area that is full of potential for more exploration. I surveyed the Marsden PLN group at the end of the term and 5 out of 6 responded. I was deeply fascinated by the replies. I asked if staff felt that being part of the PLN group met the needs they had personally identified at the start of the term. 3/5 said yes. The other 2 felt it was still a work in progress and that more time is needed. I asked if staff wished to continue being part of the PLN group next term. 100% replied yes! When asked what areas people wished to focus on next term, the responses were extremely broad: “anything at all”, being fairly typical. My heart was warmed by the “just keen to keep learning” reply. The key reason I was so fascinated by these responses, was that I felt the experiment had been a bit of a flop. As is frequently the case, #edSMAC started with a hiss and a roar. I worked really hard to keep it ticking over, offering weekly ways to get involved and explore, and really focusing on making these ways manageable. However I would feel quite confident in saying that I believe very few of the staff did the activities on offer, which is why I’m dumbfounded they wish to continue. I confess to also feeling a little tapped out. I need new ideas about how to keep #edSMAC going from the Marsden end, and what new avenues to offer. Any advice gratefully received! Nevertheless, I am supremely grateful to Matt, and to his colleagues Sam and Gin, for their constant support and encouragement of the #edSMAC movement. Many thanks, guys. If nothing else, I’ve enjoyed working in this collaborative way, and I can see the many, many benefits that come from being a connected educator. I am lucky to count you in my PLN. I think this captures Claire Amos’ challenge to New Zealand educators to ‘hack their classroom’ this term. I’ve written about accepting this challenge in my 100 Days of Learning log, but I thought it might be more useful to contain all the thoughts together in one ‘proper’ blogpost. So here it is. I have an ambitious job description. I, along with my wonderful senior manager, have been charged with leading staff into adopting future focused pedagogy. We have gone BYOD with our seniors, and the rest of the school will follow soon. As I’ve outlined previously, to help us in this task staff have been given their own devices from the Board, and we have every staff meeting devoted to professional learning in this area. However, the final graph is, as you can see, a little different. Staff are yet to feel that there is much discernible impact on their classroom pedagogy as a result of the professional learning we have been doing. because it makes sense to me that we’re still in a ‘building knowledge’ phase. Mindsets (from ‘fixed’ to ‘growth’ – see Claire Amos again for a great explanation) are shifting for some, but I think that’s still a significant minority at best. So, how to get more staff on board, to realise the potential that future focused pedagogy offers? Niftily, this was the theme of this week’s professional learning. And thus the jump in point for my “hack buddy” Matt Nicoll and I. We decided to hack Claire’s #hackyrclass challenge to a #hackyrstaffroom one! We want to be agents of change. The plan in progress over this week and next is to connect with a small group of our staff who are interested in building their own professional/personalised learning network. Because we can do this from two schools, we can automatically offer each ‘team’ a ready-made PLN. We are using the hashtag #edSMAC (Samuel Marden Collegiate School, St Andrew’s College) to connect on Twitter. We’re also surveying the staff to find out what they want from the ‘build your PLN’ project so that we can personalise links, tips and suggestions for what they are wanting. The theory behind all of this is that if staff can be convinced to look outside their own four walls of their classroom, staffroom, and school, they will be exposed to new ideas that will spark an interest. An ‘ooh, I could try that’ moment. This has the potential to snowball and then – hey presto – a revolution is formed! Not just one individual teacher to hack their class, but a group to hack multiple classes. Change is hard. But not changing? That’s ultimately harder. I’m worried I didn’t really do the topics justice, because I was down-playing my enthusiasm for fear this would put people off. I may have downplayed it a touch too much… However, I think the presentation itself has the right amount of information and, as always, lots of links for people to explore for more learning. I also know that it is as up-to-date as I can possibly make it. I wrote it a week or so ago, but added to it at least twice as I found new blogposts! I’m also pleased that I started with a recap of our school vision, the ‘why’ of technology, and connected today’s learning to the themes of our professional learning sessions from last term. Hopefully this helps to model the kind of practices we want to see in classrooms. Nevertheless, a huge shout-out to my tweeps, the #edchatnz community, and anyone else who tweeted us this afternoon – you guys rock!